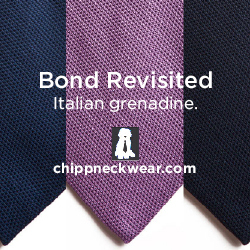 There’s a lot to learn about dressing well and identifying quality clothing. 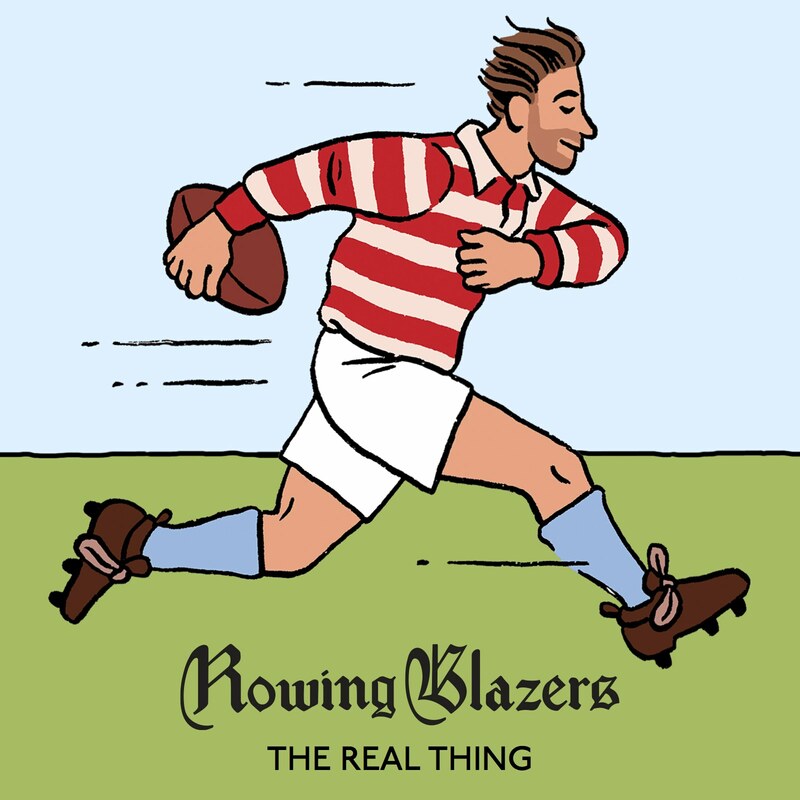 Many men enter adulthood with only a passing knowledge of wardrobe basics like how jackets should fit or how to tie a tie, and there are books on books about the techniques and craftsmanship of clothing construction. 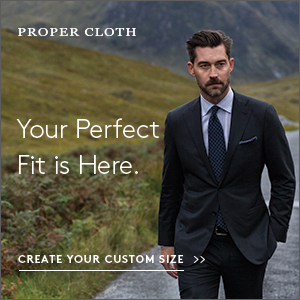 But what can lost in the fray of trying to get clothing “high quality” or “correct” is that clothing is not just craft but also art and, like how we appreciate fine art, it can be immediate, reactionary, avant-garde, ironic, silly, and otherwise more than just how cotton is woven. 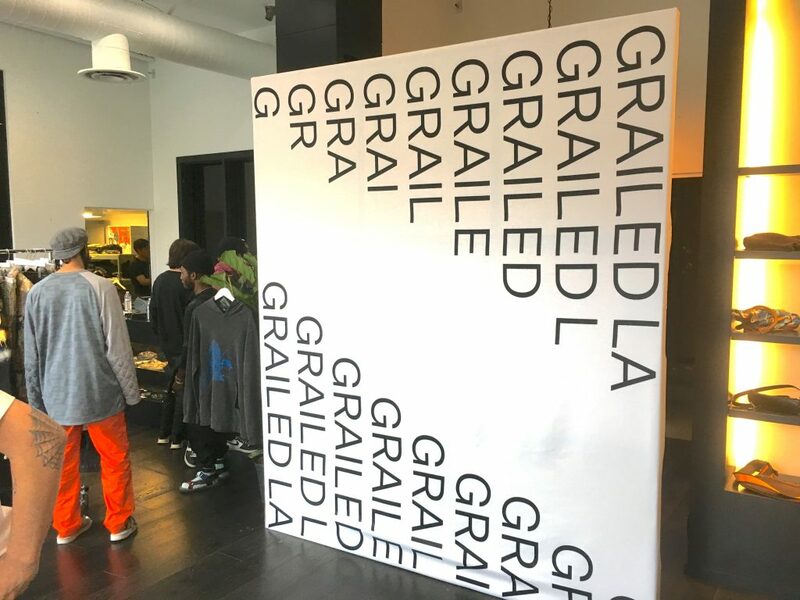 Grailed began as a high-end menswear resale site but has grown into an editorial resource, hypebeast mainstay, and community of fashion die-hards. 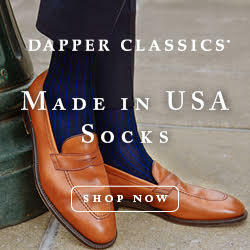 We’ve featured it before as a great used/resale source- it has plenty of good basics and classic menswear in its Sartorial section- but it’s most well known as the first place to look for celebrated designers like Raf Simons, Dries Van Noten, Givenchy, etc, and especially their rarer pieces from previous seasons. 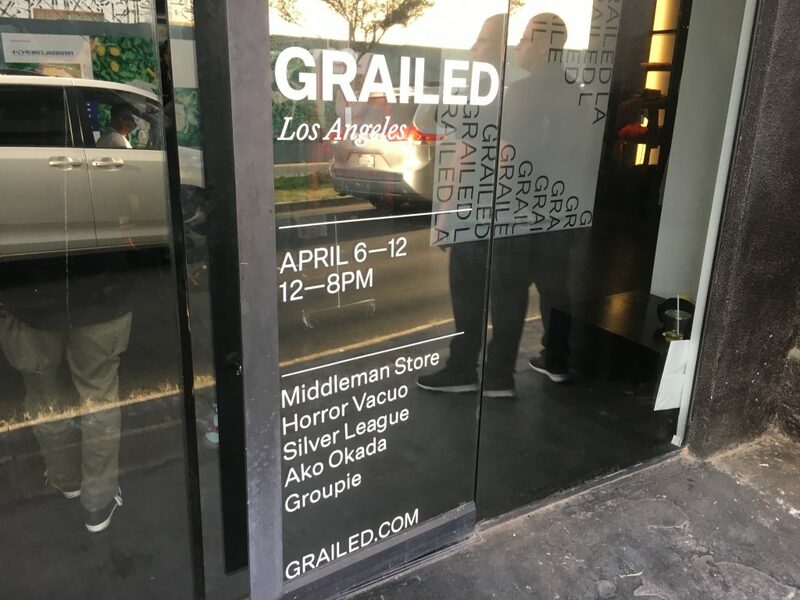 This week Grailed hosts a pop up in Los Angeles on a side street of the streetwear mecca of Fairfax Ave. right around the corner from the local Supreme store. 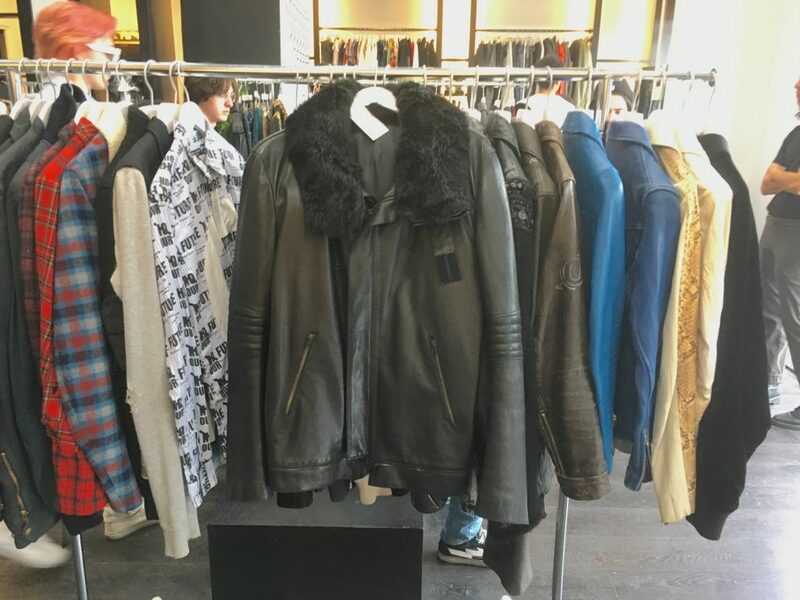 The pop up focused on the inventories of what they call “power sellers,” who are more like art dealers in that they peddle in rare and archival pieces that can often go into the thousands on price tag. 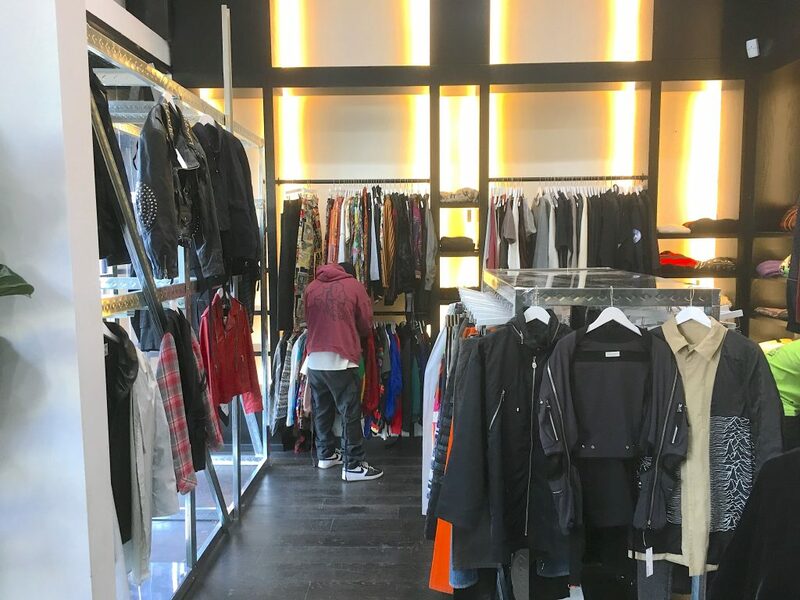 Inside the small, simple set up the place is at a constant hum with stock moving in and out of the makeshift storeroom and Hypebeasts rummaging through the dense piles of rare finds. What separates this from a classic retail store, which are often meticulously merchandised and aim to sell you, is the lively atmosphere and how the customers and staff seem to intermingle and a lot of the crowd seemed to be there more to admire the clothing than buy it. 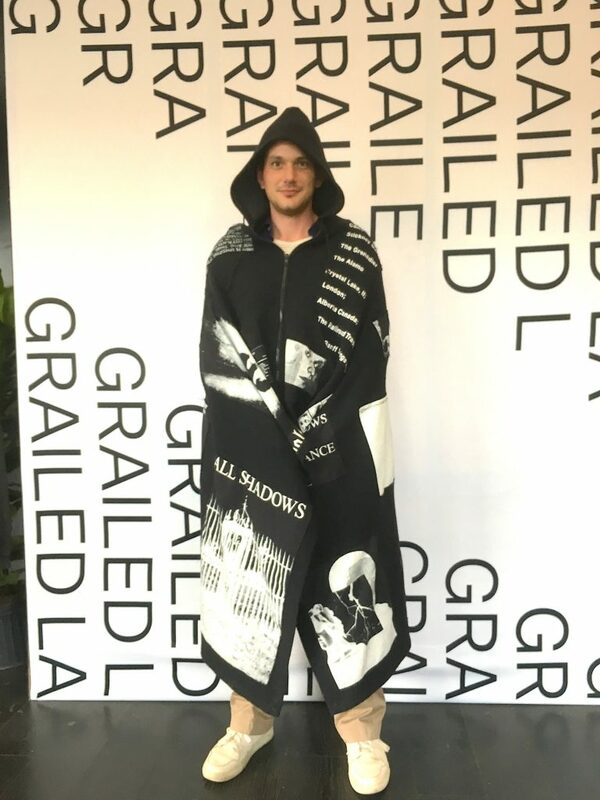 To access the store you have to show your Grailed account. It’s an interesting angle, to create a store (albeit temporary) that’s less about attracting new customers and more about solidifying community. To be sure the place felt more like clubhouse than boutique. As I admired a Raf Simons cloak (which I think looked great on me) other shoppers and staff couldn’t help but chat and geek out on the design and the history and the collection it came from. The world of high fashion can often seem intimidating and kept behind a gate patrolled by snooty guards. The best analogue I can give to the Grailed pop up is that it was like an art gallery opening or trade show. You come to admire wild clothing with others who admire it, too. Whether or not you want to spend $8k on that aforementioned Raf Simons poncho is up to you and, frankly, beside the point.